On a daily basis the average American wakes up, brushes their teeth, showers, flushes the toilet, and drives to work. During their lunch break they usually drive somewhere to get a meal, and drive back to work. After work they drive home, make dinner, maybe watch some television or read a book, and then go to bed. While living on the Gato Verde for about three weeks, we learned a lot about the resources we use on a daily basis and some of the thing we take for granted, like water. Every day we measured how much water was used and calculated the amount of water we used per person per day. On average we had 6 people living on a 42 foot catamaran using 18 gallons per day, or approximately 3gallons/person/day. I assumed this was a significant amount of water to be using, considering it was only used to wash dishes by hand, brush teeth, flush the toilet in the head, and occasionally wash hair. 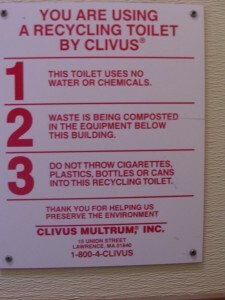 After doing a bit of research I was surprised to learn that the average American per day uses 80-100 gallons of water. Most of this water is used for bathing/showering and flushing a toilet. With such a large amount of water being used every day, by each person, it is astonishing that many of us never think about the amount of water we are using, and where it is coming from. Because water is so accessible to most Americans, it seems that we often forget not only the amount of water that we are using daily, but also the other resources being used so that we can have water at the turn of a faucet. While it is nice to have the convenience of water at our finger tips, it is important to remember that clean, useable water is not easy to acquire in many parts of the world, and there are many costs associated with using such a large amount of water. 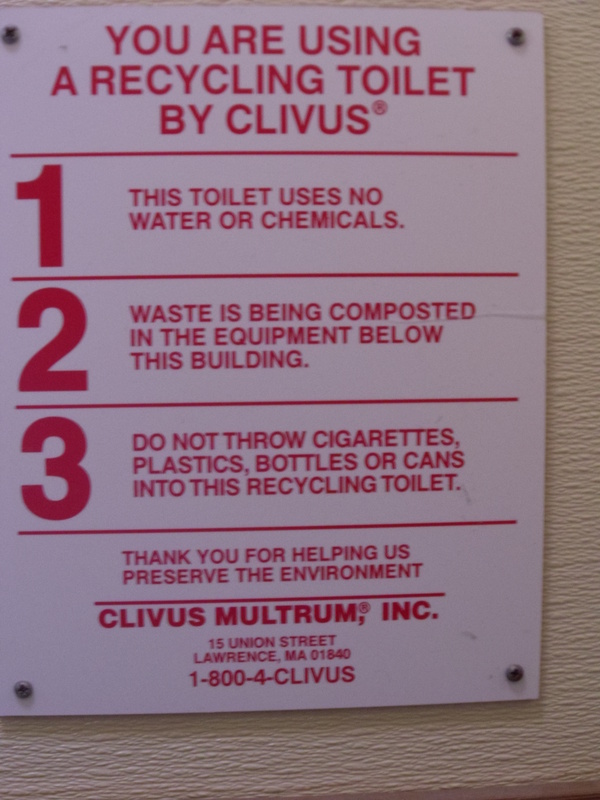 Next time you flush your toilet, think about how much water was just use, and how many chemicals will be needed to treat the waste water before it is sent back out into the environment. 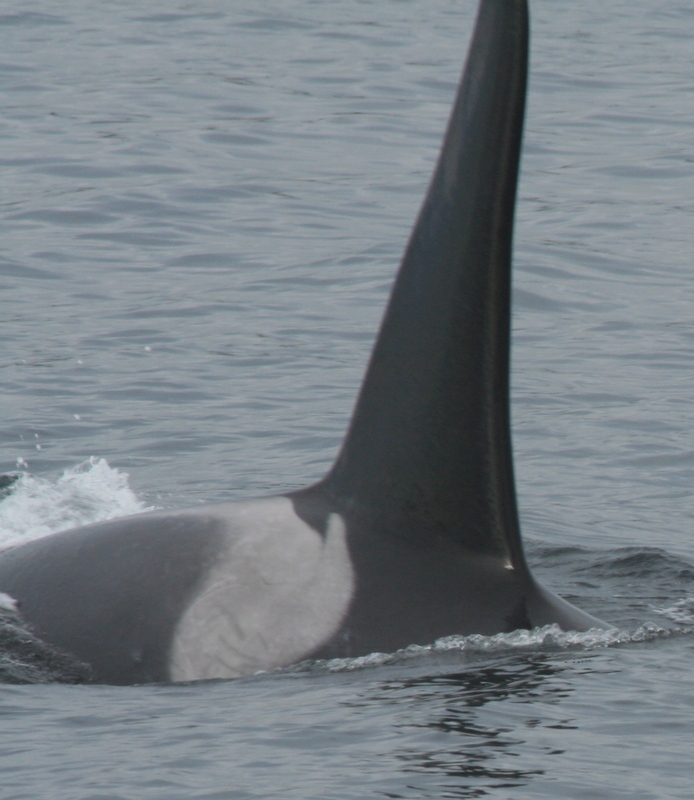 While there is a lot of information that we do know about the southern resident killer whales, there is so much information that still remains a mystery about these great predators. It has been established that the southern resident killer whales mainly eat Chinook salmon, which makes up 65% of their diet. 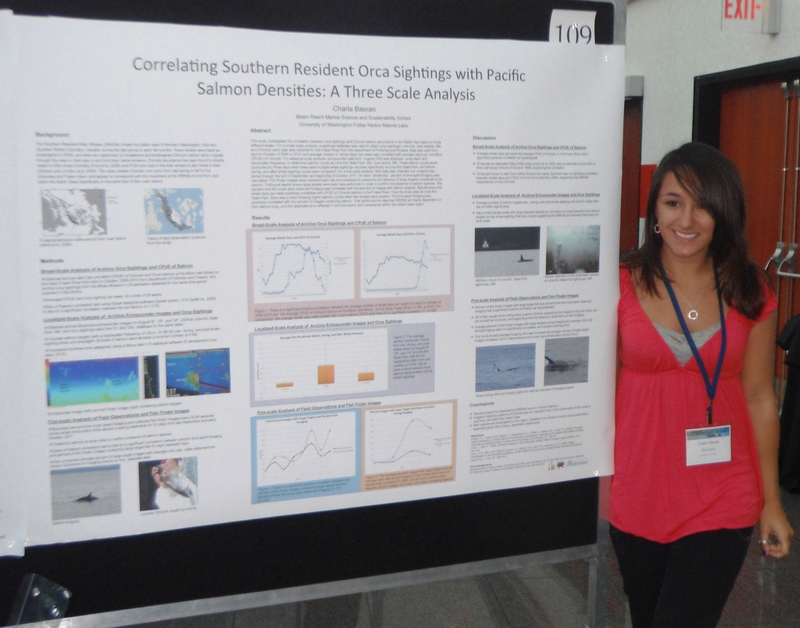 Research has also shown that Chinook salmon within the home range of the southern resident killer whales are also endangered (Hanson, 2007). In addition to knowing their diet; their family structure, life span, age of sexual maturity, and vocalizations used by these predators are known as well. 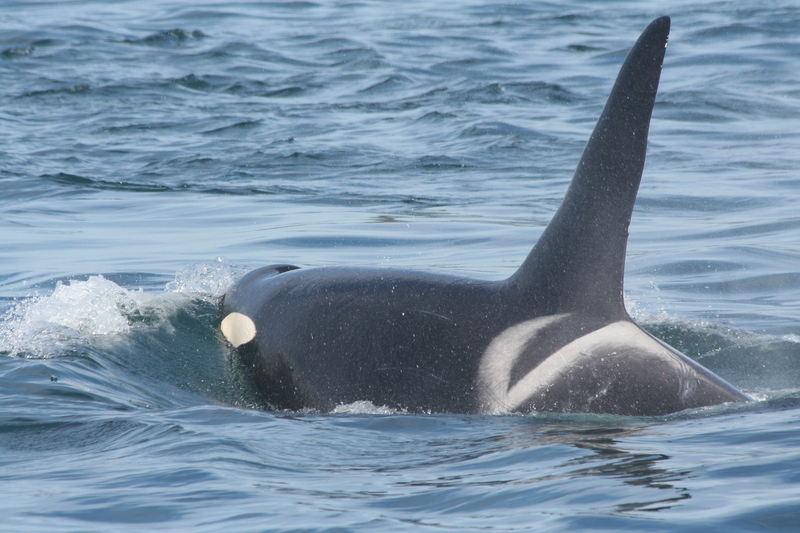 With all of the knowledge we do have about the southern resident killer whales, there are a lot of things that we can only speculate about. 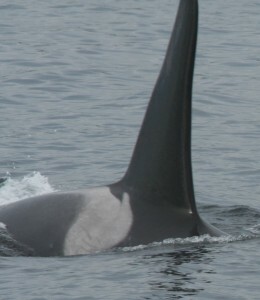 One thing that remains unclear is what the vocalizations of these whales mean. 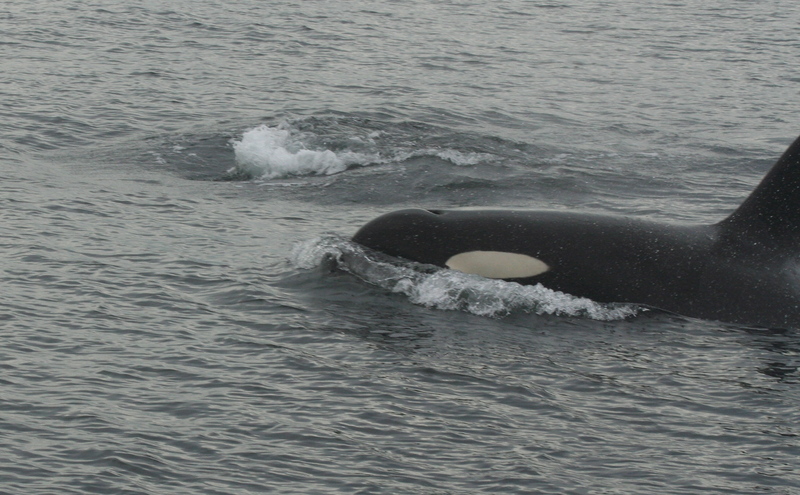 While on the Gato Verde I focused on one specific question, which was – can killer whale click rates tell us anything about foraging behavior? Researchers have found in several species of toothed whales that there is a relationship between acoustics and foraging behaviors (Simon, 2007). Because so much of a killer whales activities take place under water where visability s limited, this question was particularly hard to answer. I was unable to find a direct correlation between foraging and click rates from the data I collected, however I am still interested in further exploring this question. Further research on this topic would perhaps give me a more definitive answer, and it would be useful in determining what activities are taking place in their underwater habitat. 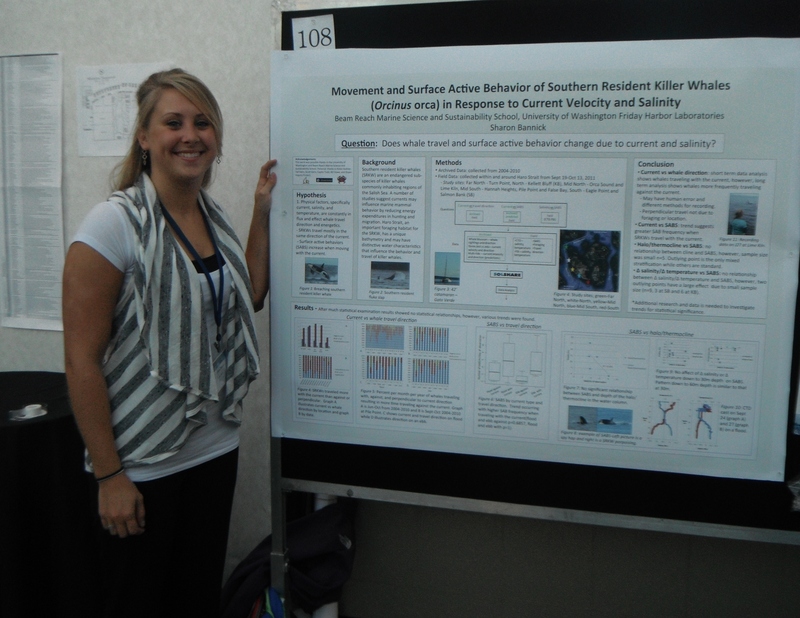 While the answers I found through my own project were not entirely satisfactory, this project did heighten my curiosities about what the clicks produced by killer whales could be telling us. I would recommend that others explore this topic as well, so that one day we will have a definite answer to what their vocalizations mean. One fish, two fish. . . No more fish? Concerns about overfishing are a pressing issue. 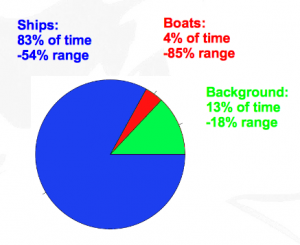 Technological advances, have made fishing industries much more efficient. 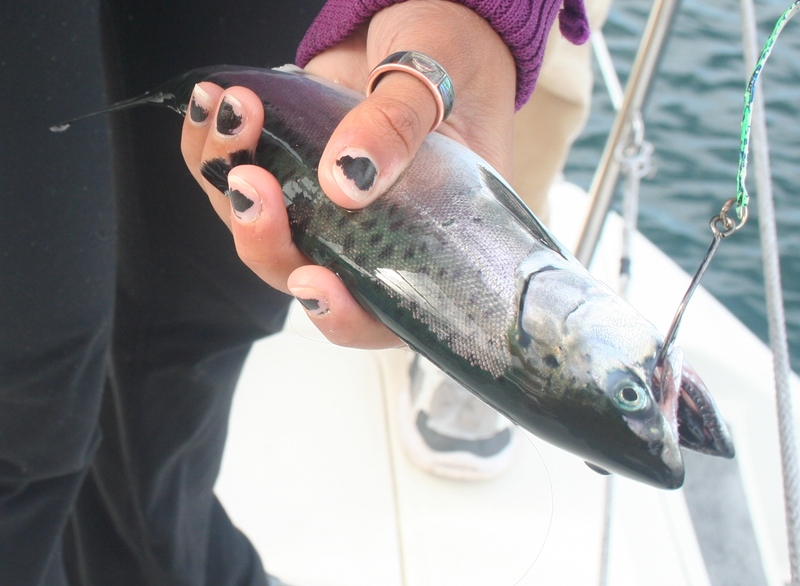 Fish are caught at greater depths, and in much larger numbers. Some scientists have estimated that as much as 90% of large predatory fish including sharks, swordfish, and cod have been removed from the oceans of the world . With so many large predatory fish having been removed from the ocean it may seem that there are plenty of other fish in the sea, however this is untrue for a growing number of fish populations. Other factors, including pollution, fishing methods, and habitat destruction contribute to the decline of many fish populations, including Chinook salmon. 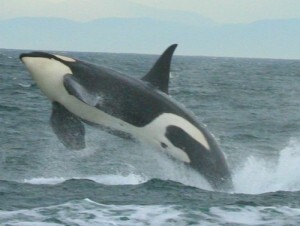 As we have learned, Chinook are the preferred prey of the endangered southern resident killer whales. These salmon are also listed as endangered. Habitat degredation, genetic and ecological impacts from hatchery production, and impacts from hydropower are factors that put these fish at risk. 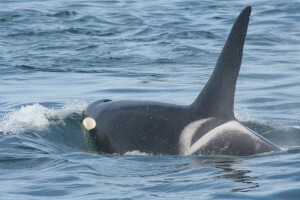 While Chinook salmon make up 65 % of the southern resident killer whales diet, and are of upmost importance to this population of killer whales, they are also consumed by many other marine animals. As specific fish populations become threatened or endangered, so do the predators that depend on them as a food source. Understanding relationships between predators and their prey is crucial to maintaining, and sustaining the environment in which all living creatures share. Establishing the importance of all members contributing to an ecosystem further emphasizes the importance of practicing sustainability. It is important to remember that the environment in which we live is delicate and can be manipulated easily. It is up to all members of society to establish methods for fishing that will not devastate the environment in which they live, and share. As all the 112 Beam Reach students (Sharon, Laura, Hayley, and Charla) can recall the phrase we heard the most was “this never happens” or “this is a first”. After hearing it a few times we decided to keep track of all the so called “firsts” for Beam Reach. After an eventful quarter at sea collecting data we finally had the opportunity to analyze it and see our results. 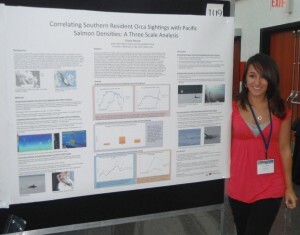 We presented posters at the Salish Sea Ecosystem Conference in Vancouver, Canada. We, the students, presented posters, talked with many scientists, and sat in on 3 days of presentations. We were all extremely blessed to have received this opportunity as it has helped in networking and giving us a glimpse in the scientific world. We will now all go our separate ways, but we will never forget the Beam Reach experience! 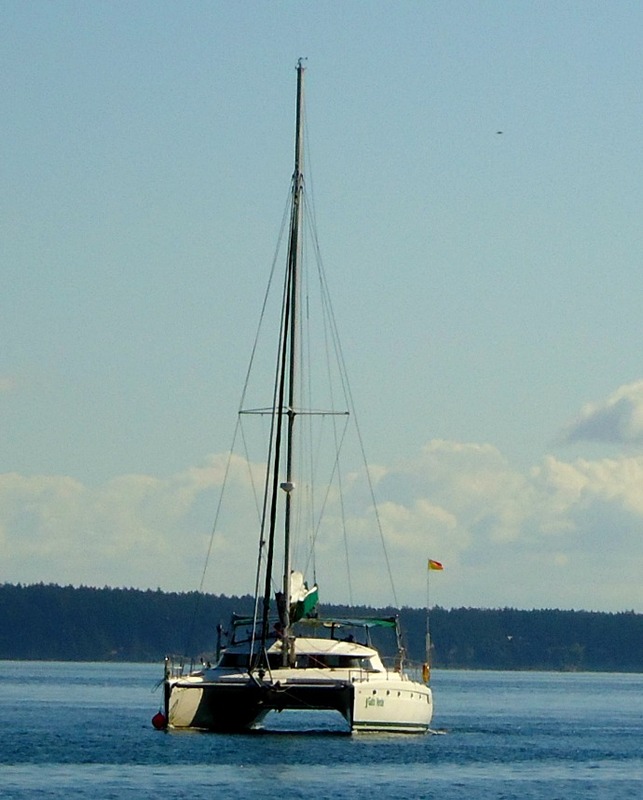 Once we were aboard our catamaran home, our lives could basically revolve around the movement of the orcas, and it didn’t take long for that to begin. 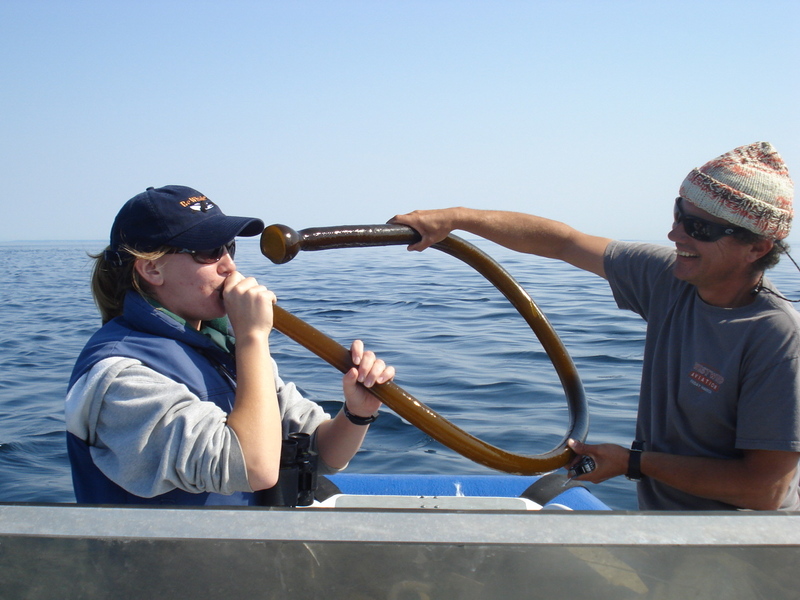 Since we started taking data on the whales right from day one, we had to take what we had learnt at the Lime Kiln and adapt quickly to data recording at sea. Once the whales were around us, we would deploy a four hydrophone array from the back of the boat and start recording. Laura listened to the calls and clicks being recorded in one minute time segments and recorded what she could hear on a phonation sheet so we could go back and listen to the best recordings afterwards. We also played the hydrophones through the speakers throughout the catamaran, so even those of us not working on the acoustics could have the full effect while we were with the whales. 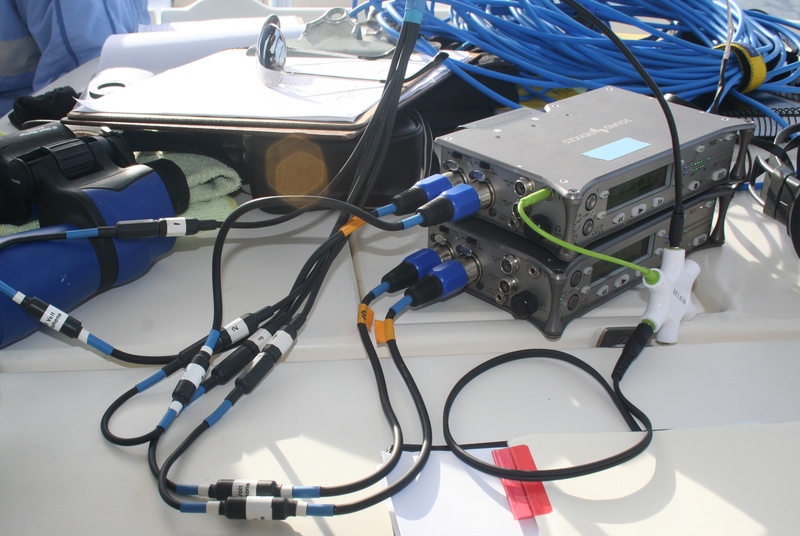 The hydrophone array recording equipment (left) and the team preparing to record the whales on our first day (right). Sharon and I were on behaviour lookout. The idea was to call out every whale we saw with a clock bearing, a distance, and what activity they were doing, while Hayley wrote all this information down on a behaviour sheet. We were also specifically recording surface active behaviours (such as tail slaps and breaches) and foraging behaviour for our own projects. Sounds simple enough, but when you have anywhere from 5 to 50 whales in sight, 360 degrees around the boat, things got pretty crazy (but crazy in the best way possible, this is what we were here for!). 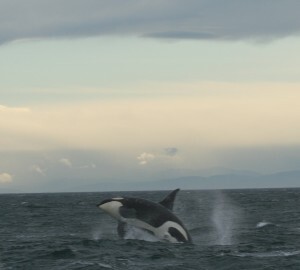 An orca breaching (left) and J26 – “Mike” swimming past the Gato Verde (right) during our data collection. 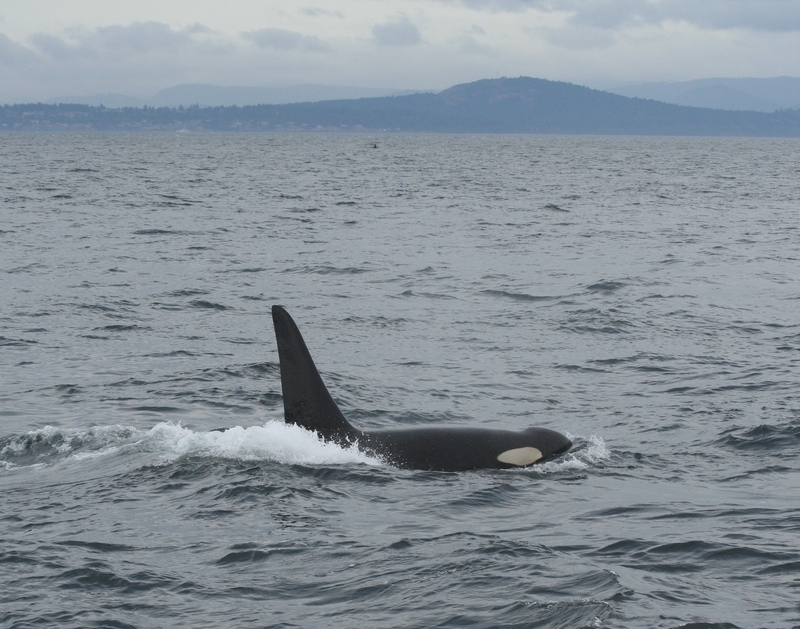 Since Beam Reach 112 had some of the most orca encounters while out on the water, this routine was continuously practiced and fine tuned, but every so often there were days without orcas where we could experiences some other aspects of life at sea. One of our other main focuses while living at sea was learning about sailing. We had lessons beginning with all the basic parts of a sail boat, and progressing through raising the sails, choosing an appropriate sailing course, steering, tacking and jibing, and learning the right of way rules. It was great experience going through all the steps required in order to sail, and to help eachother learn along the way. 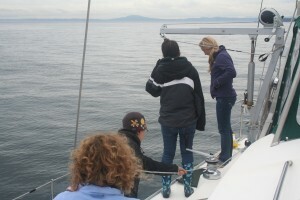 We even had the opportunity to sail with some near gale-force gusts making it all the more exciting. We also quite often had some other playful cetaceans visit us while the orcas were out at sea. 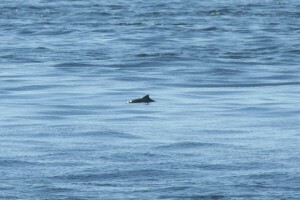 Dall’s porpoises would bow-ride infront of us, most often near the Lime Kiln. We would lie on the front on the boat and watch them swimming just a couple feet below us. Some would even turn on their sides to get a better look at us and then come up to give us a splash, seemingly on purpose. We even thought we could hear them clicking on our “listening hydrophone” we had deployed one day as they approached our stationary boat. Other research we conducted while the orcas were away included CTD casts, which took the whole team to lower the CTD (an instrument used to obtain a depth profile of temperature, salinity, and various other water measurements) 60 meters into the water, and then use a winch to crank it back onto the boat. 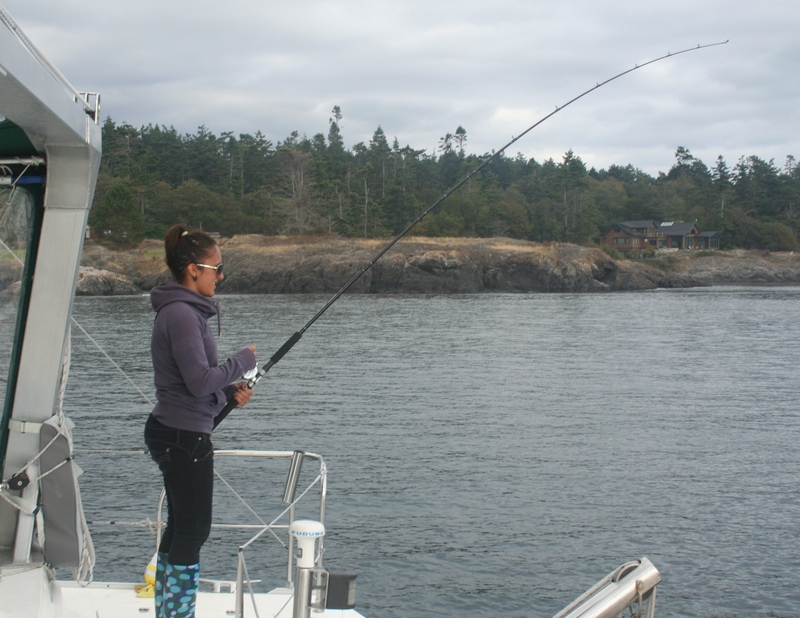 I also fished for salmon and analyzed fish finder data from the boat for my project while the orcas we away, and had great success doing so! 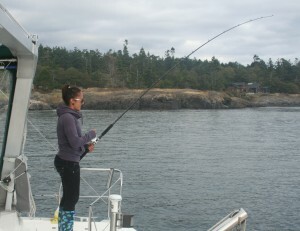 Salmon fishing off the boat (left) and a successful catch of a juvenile Chinook (right). Learning about the ecosystem an organism belongs to is often just as important as learning about the organism itself, so that’s what Beam Reach 112 set out to do for the first few weeks on land. 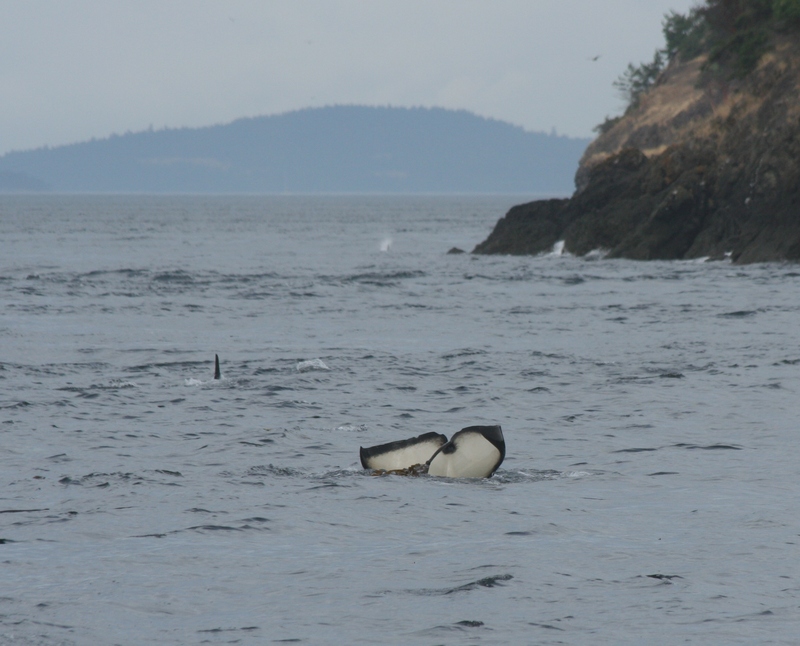 We were fortunate enough to be able to set up our land based research at the Lime Kiln lighthouse where the orcas are seen frequently (usually!). Though the orcas managed to elude us the majority of the time we were at the lighthouse, we had no shortage of research we could do. 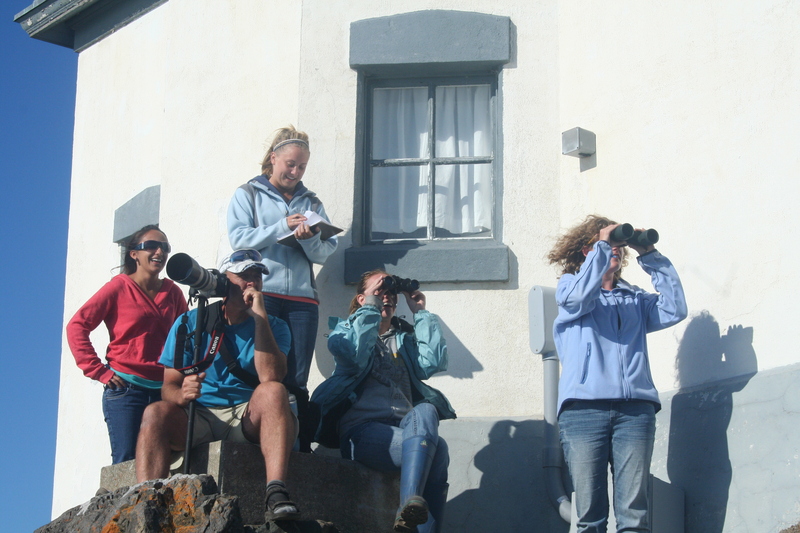 Each day at the lighthouse, one person was on observation. For 45 minutes at a time, every bird and mammal spotted was recorded. Seagulls, Cormorants, Murres, Dall’s porpoises, Harbour porpoises, and playful seals were regulars at the lighthouse on pretty much a daily basis. 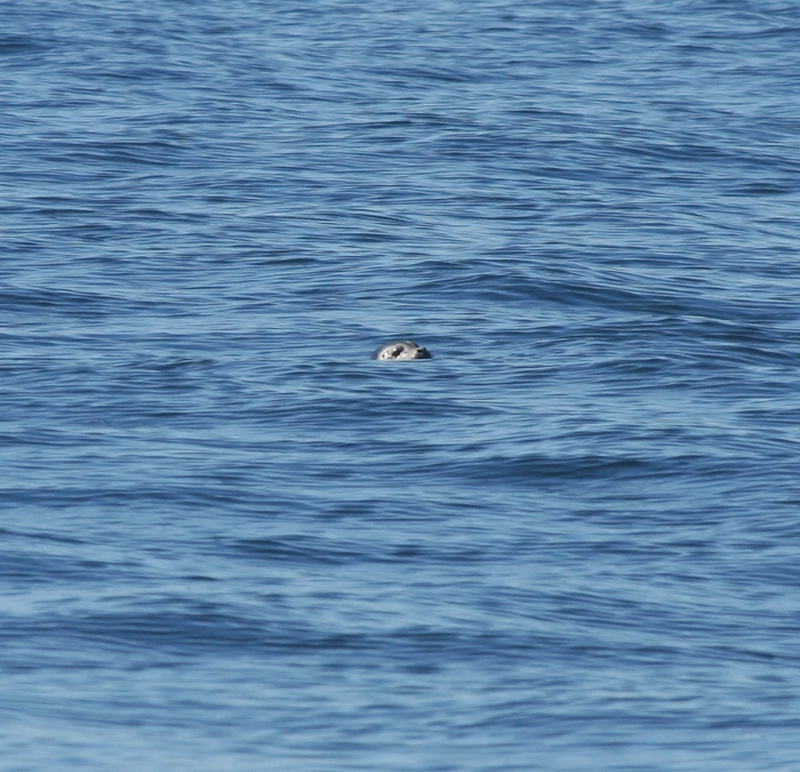 Harbour porpoise and a peeking seal observed from the platform infront of the Lime Kiln lighthouse. An underwater splashcam was installed directly infront of the lighthouse with the first hydrophone and the, also newly installed, CPODs (for detecting dolphin and porpoise clicks) in view. One person’s duty was to record everything that swam infront of the splashcam on paper and as 10 minute video recordings. We often had kelp greenlings and rockfish hanging around in view, taking the occasional nap ontop of the CPODs, or swimming up to give the camera a big kiss. 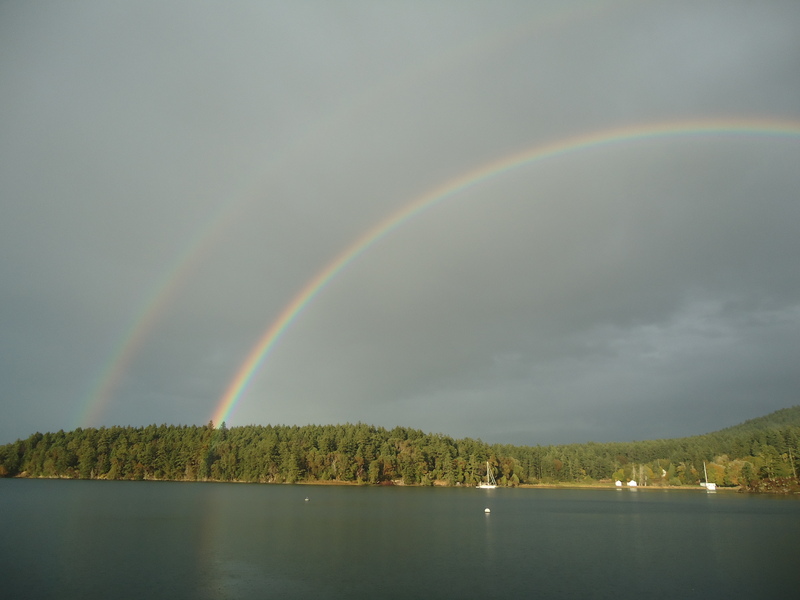 We also got footage of the occasional large lingcod, seals swimming past, and schools of salmon swimming north (headed for the Fraser River?). 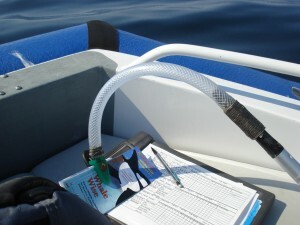 Using a YSI monitor, two people recorded water temperature, salinity, and dissolved oxygen daily. 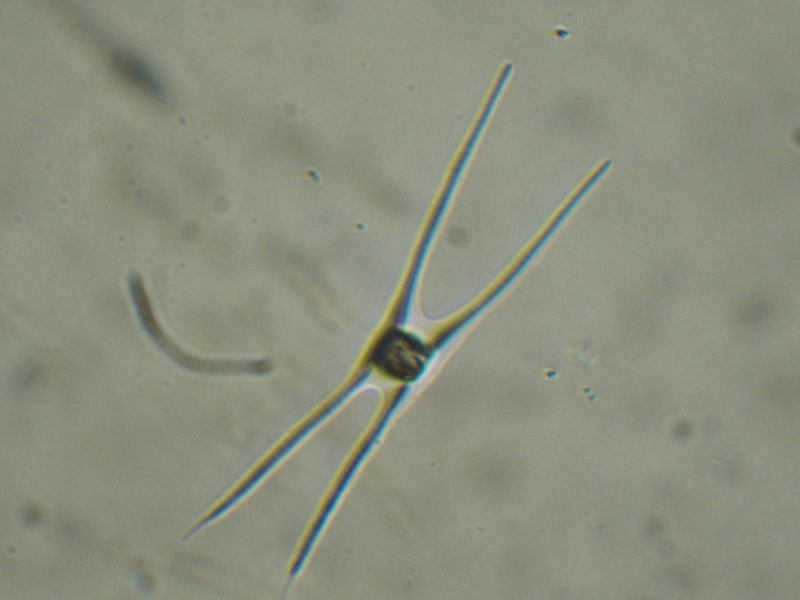 Then they also took a plankton tow and attempted to identify as many species as possible. The average water temperature was 10.85°C, average salinity was 28.95ppt, and average dissolved oxygen was 6.25mg/L. 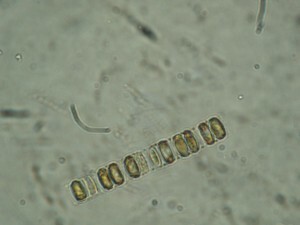 Some of the most commonly identified plankton species were Chaetoceros, Cylindrotheca, and Skeletonema. 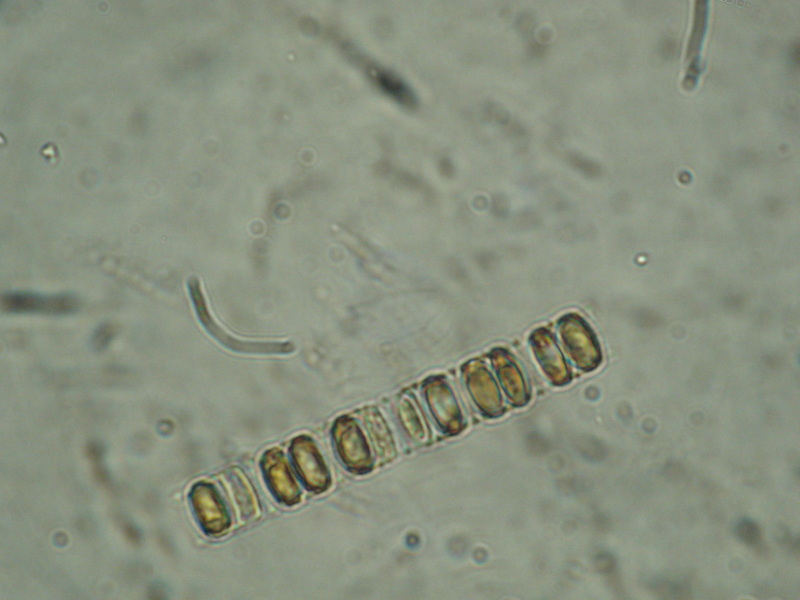 Chaetoceros (left) and Skeletonema (right) found in samples collected at the Lime Kiln lighthouse. lighthouse, armed with a behaviour sheet, binoculars, and the camera. The goal was to record clock orientation (to the iron post), travel direction, distance, and any surface active behaviours, and attempt to get as many identification pictures as possible. This information goes into the Beam Reach archives to help with future projects, and can be used to help us confirm localizions of calls from the hydrophone recordings. Through Beam Reach’s Sustainability portion of the program, we (the students) get to choose projects to either educate the public or volunteer our time. One of the projects we all agreed on and decided we must do is volunteer for SoundWatch. 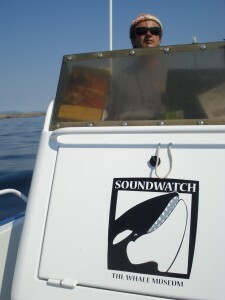 SoundWatch is the boat that follows the orcas around and educates the public about the laws pertaining to them. All four of us got our own day to volunteer for SoundWatch. I was the third one to go, and I was ecstatic because I had never experienced the orcas from a boat yet! A man named David Howitt picked me up, and we drove to the other side of the Island to Snug Harbor to meet Tyler, another volunteer. 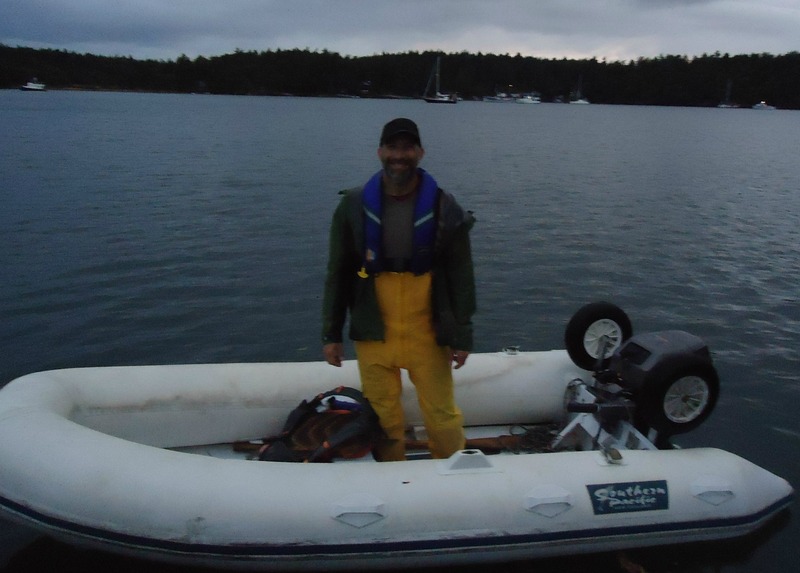 After getting my paperwork all squared away, I hopped in the boat with my mustang suite on (these huge orange suites that are very warm PFDs) and we went down to Eagle Point (south of the lighthouse) and found the orcas right away! It was incredibly calm. 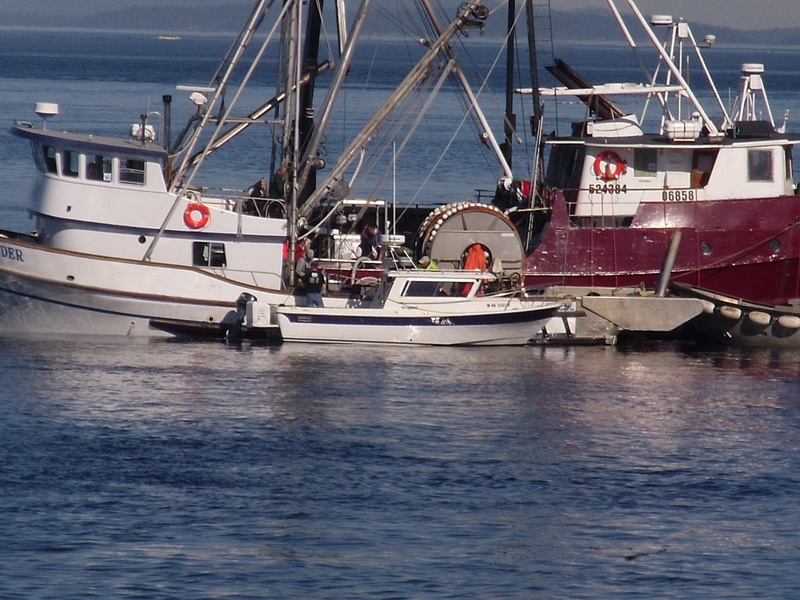 I was amazed at the amount of fishing boats that were out; I counted 60 from where we were at, and the orcas were right in the middle of them. It was insane! Right away it would’ve already been crazy to try to coax the boaters away from the pod’s path, so we just made sure everyone was stopped so that the orcas could go through. Thankfully they made it out of that mob of vessels safely. Wow, just hearing them breath all around you is breathtaking. It was incredible being out there. 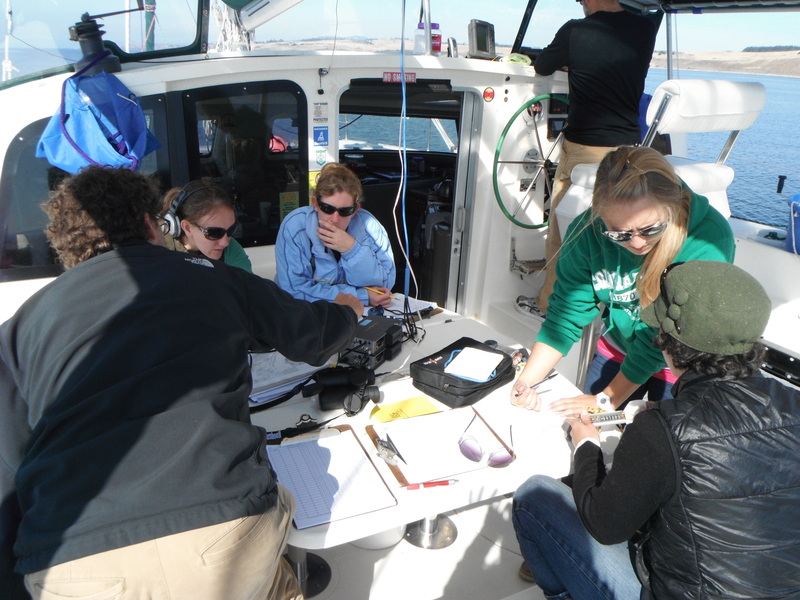 Every half hour it was my job to record where we were (latitude and longitude), how many boats (and types of boats) were present, what the whale’s behavior was, and which pods we were following. Weather was also noted. I was also in charge of giving people a copy of the regulations with this long stick with a little clip. We were lucky, everyone was grateful that we were out there, and treated us well. I guess that doesn’t always happen. Near the end of the day the whales moved further west, the crowd of boats surrounding them died down. I saw some bull kelp in the water and I thought “I want to try playing one of those…” I’d heard of people being able to play bull kelp, and some even do it to summon the orcas. I’m a music minor, so the idea was hard to pass up! David let me stop for some bull kelp and he cut the end off and made it into a horn! Bull kelp is a long hollow tube that slowly narrows as it gets longer, and it was surprisingly slimy! First David had a go, and being a past horn player himself, I would believe that he could summon the orcas with that sound. Then he let me try, and now I can honestly say I played kelp! Like any brass instrument, I could get a few notes out of the one piece of kelp, and we’d cut it to different sizes to get different sounds. Not long after that there were only about 3 boats left out there. We did our count, and said goodbye to our black and white friends and called it a day. My first reaction to the Gato Verde was, “Wow. It’s roomy!” We have it really nice on this French vessel. It was built in 1998 and Captain Todd said the model type hadn’t changed much since it was built, and it felt clean and new. I first looked around the boat, and there are 4 double cabins, and 2 single cabins up in front. 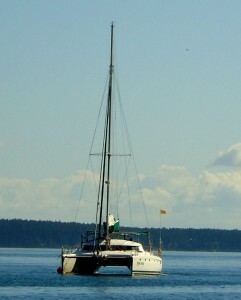 The four of us have two double cabins on one of the catamaran’s hulls. The doors are made out of a type of red wood, and the accommodations feel almost hotel-like compared to what I was expecting! My roommate and I share a bed, and again I was amazed at the amount of space we had. I initially imagined being smashed together in a twin size cot. I guess my imagination goes a bit far when they said we’d have tight accommodations! In the middle of the two hulls is the actual cabin, where the kitchen/living room is which consists of a round table with booth-like chairs that also act as storage for our food (that we got the luxury of picking out ourselves instead of going through NOLS). This was our spot during the evenings of entering data that we had gotten throughout the day, or paying catch-up from previous days! 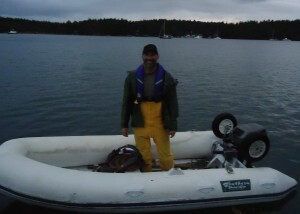 After hauling stuff onto the boat, we were off! As we were going to our port, we just explored the boat, and went outside on the “trampoline” which was a mesh that you could sit on and really feel like you were as close to the ocean as you could possibly be without jumping in! 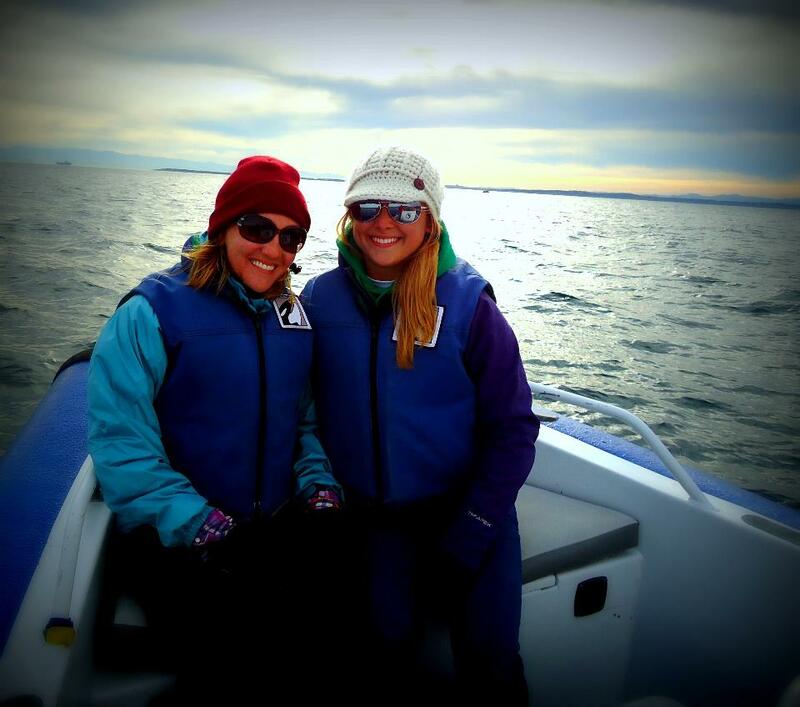 The very first full day on the boat we got to encounter the whales by salmon bank! 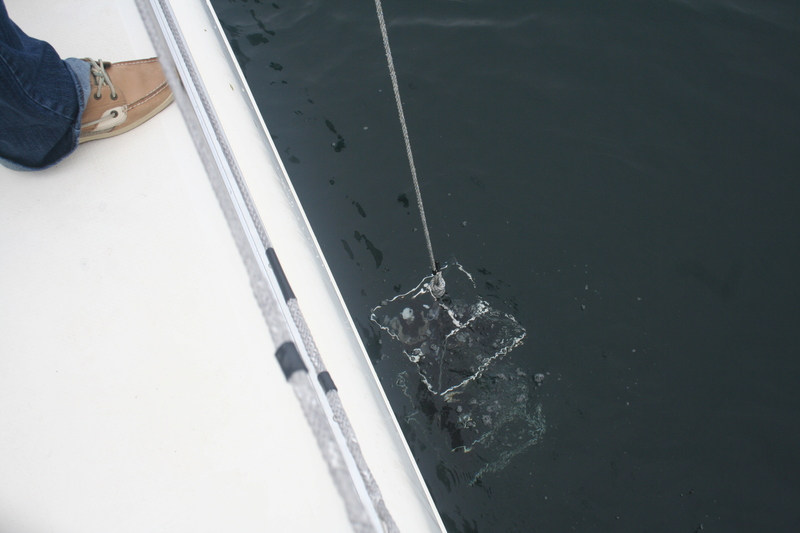 So we headed out straight away to go catch them We learned on the fly as we set in the hydrophones and scrambled for data sheets that we’d printed off for our specific projects. 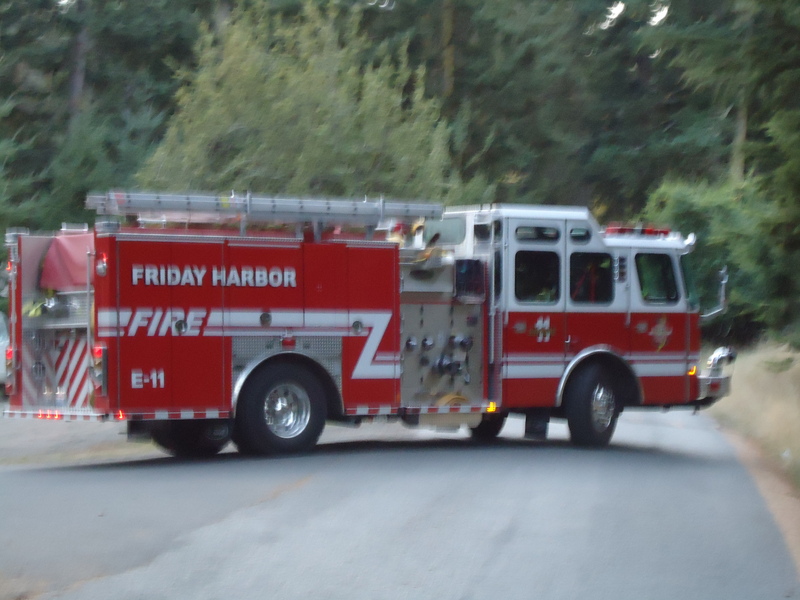 It was so amazing: I heard their calls as I heard them come up breathing all around us. Sound travels so brilliantly across the water, you can hear them breathe from pretty far away and still feel like they’re so close. My job was to sit with headphones on until they made calls or clicked and note when it happened, and what type of call it was. 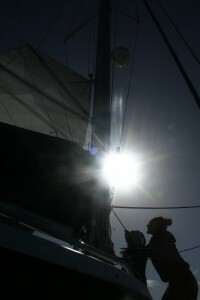 The sun was WARM on my back; another luxury I hadn’t planned on having while I was on the boat. We collected data for over three hours! And it felt like 30 minutes. We turned in to Snug Harbor and started looking at the photos at the end of the day. Both Charla and I made the same conclusion: we saw J16 (Slick) and J27 (Blackberry)! We saw whales every day for the first three days of our trip, still learning how to do things on the go. Our first non-whale day was Charla’s birthday, the 23rd, and as close as the trampoline gets you to the water, we decided it wasn’t enough. 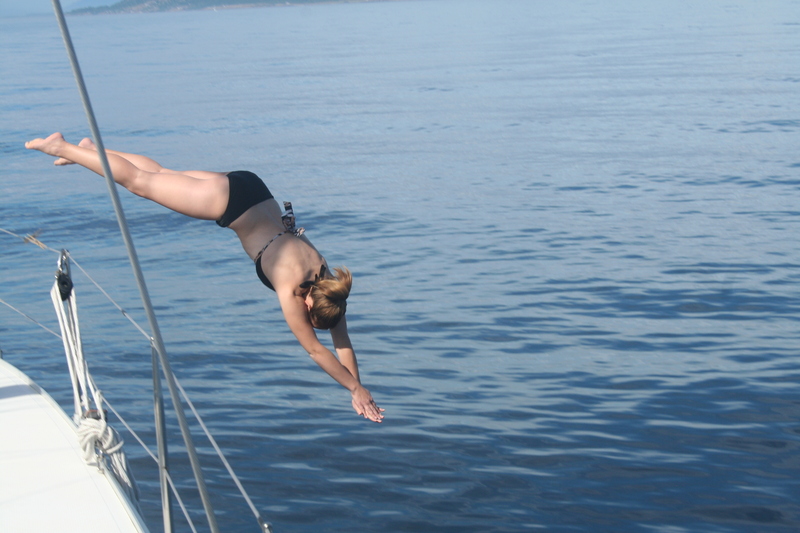 After a CTD cast, Charla announced, “Okay, we’re jumpin in!” What peer pressure! I can’t say no to such a simple birthday wish, despite my horror to the cold rush that was about to come. But it was such a beautiful warm day! We threw our suits on and it was actually really comfortable out in the sun. And we jumped in! Into 700 feet of water. I felt so small. We swam underneath the Gato, and it was actually quite refreshing after not showering for 5 days. 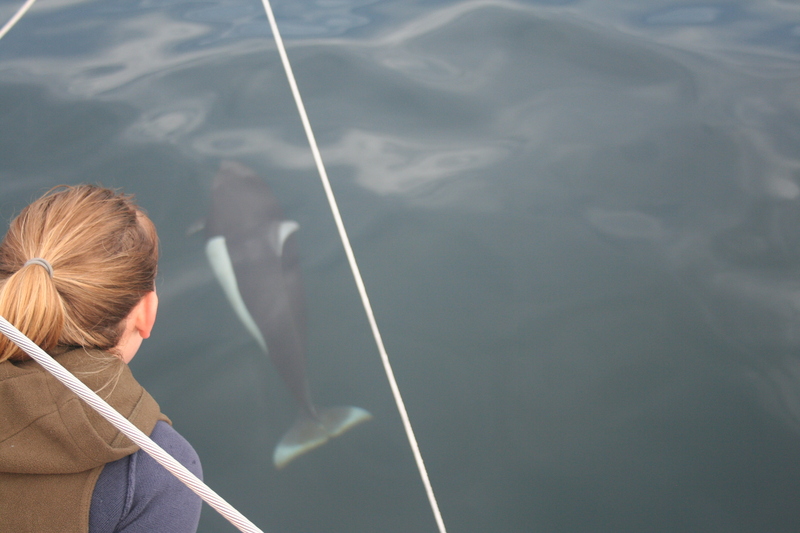 We were locked into Snug Harbor for the majority of the next day due to fog, but when we finally got out, the most incredible thing happened: for the first time of the trip, we got to experience dall’s porpoises riding our bow! We all laid on our bellies at the end of the trampoline and looked over the bow; if I wanted to, I felt like I could reach down and run my hand across one. You could tell that they were just as curious about us as we were about them, because every so often they’d lean far over on their sides and take a look at us. It was a pleasant end to a relatively uneventful day. The next couple of days, instead of being trapped by fog, we were trapped by 40 knot winds. We had sailing lessons during this time from Captain Todd (just white-board stuff of course). In the afternoon, we heard the whales were right outside the harbor, and we declared that the wind died down well enough for us to go out and take a peak! 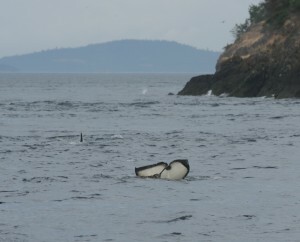 For the first time of the trip, all of my rain gear went on and we got to enjoy the whales for about a half hour. I couldn’t deploy the hydrophones unfortunately, because the waves were too high. We went to Garrison Bay for a while because it’s more sheltered than Snug for the winds that weren’t predicted to let up any time soon. The next day, as predicted, we had 40-knot winds again, and we experienced it right in the harbor! 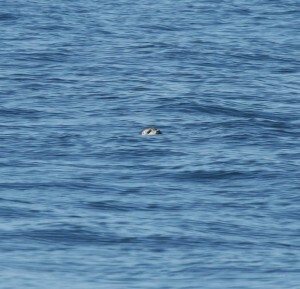 Whales were right in Haro Straight next to us, but we were stuck. By the evening we all went to land and walked for a while at English Camp for some much needed exercise! We also watched Robin’s favorite movie in the world: Life Aquatic. The next couple of days were data days! We ended up being able to catch the whales right away in the morning! It was great getting back into the groove after a few storm days of storm. I guess we’re really lucky, EVERY day that we’ve had good weather we’ve been able to be with the whales for a while! 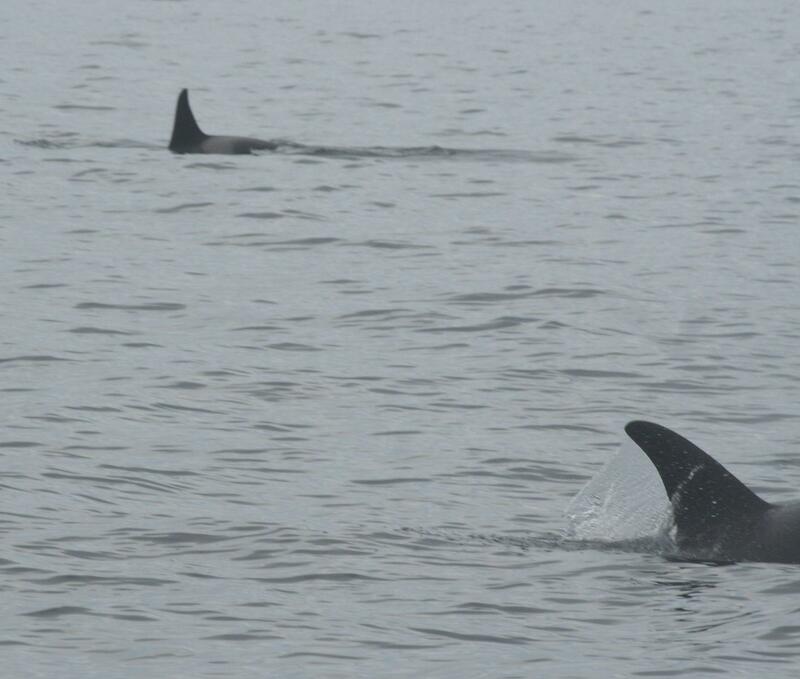 I think I got some amazing recordings from L pod today, and we’ve been seeing mostly J’s and K’s throughout the week, so this was really exciting for me! I felt like it was like a one-time deal, and the adrenaline kicked in. Such precious data! It was a perfect closing to our first cruise. The final day I went on Soundwatch with Sharon before going back to the labs. Seven Days out of the eleven we got to be with our black and white friends, and I never felt so lucky.